When logging in to the Makers Empire 3D app, you have the choice to either use your Google account or create a new Makers Empire account. Some students forget to login with Google or want to link their normal account with Google in the future. 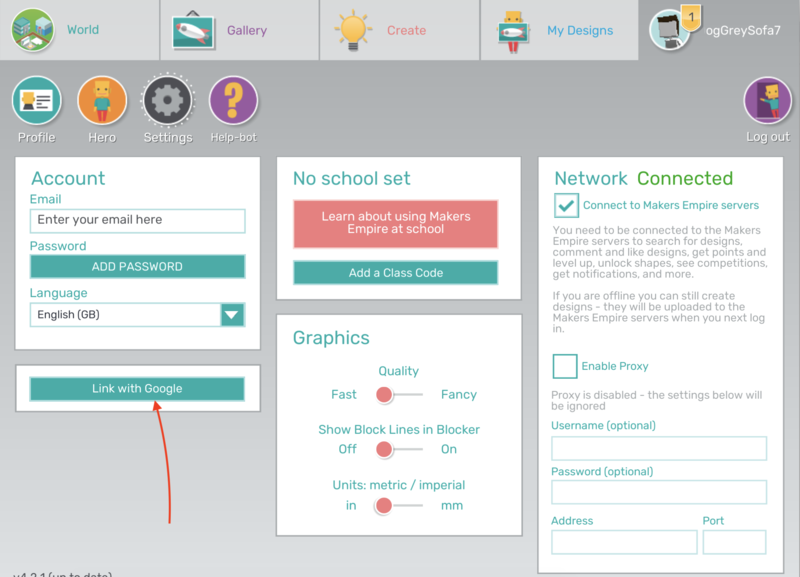 Linking your account with Google can be very useful, especially if you are using Google Classroom to integrate with Makers Empire.